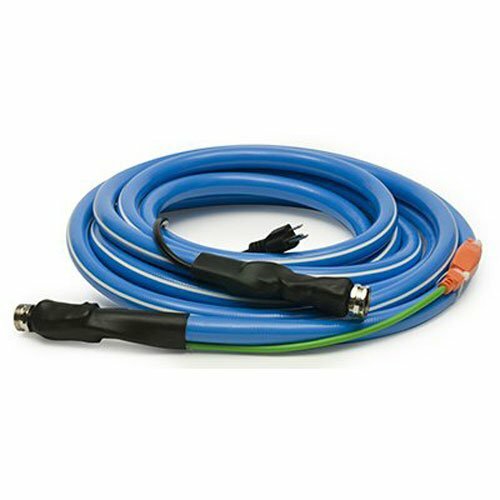 The 50-Feet Series 2 PIRIT Heated Hose is made from drink-safe materials and thermostatically controlled to automatically turn on when needed and prevent water from freezing in the hose down to minus 42-Degree Fahrenheit. With a new, tougher thermostat hardwired to the outside of the hose you are guaranteed more consistent and customizable results depending on your need. The hose comes with a 1-year limited warranty against defect.